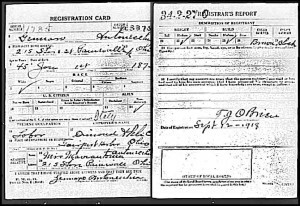 Mariantonia Iannantuono and her husband, Gennaro Antonecchia, first appear in the Painesville, Ohio, area when Gennaro registered for the World War I draft in 1918. 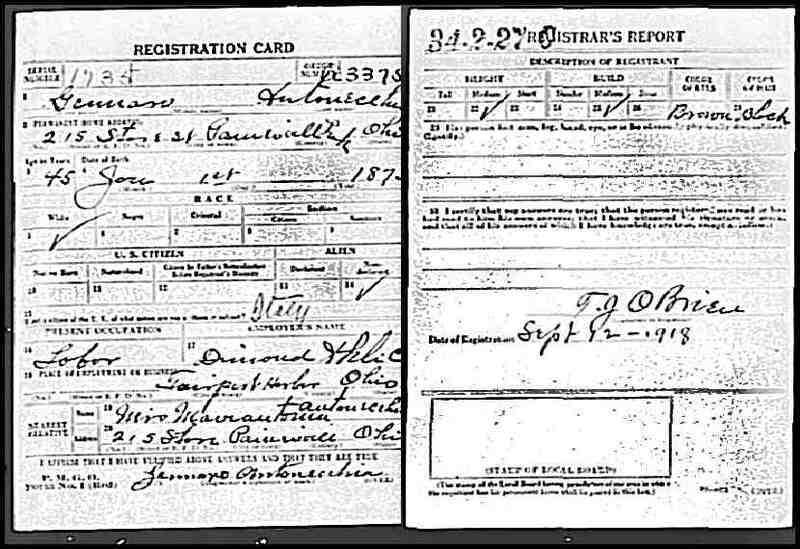 Mariantonia Iannantuono was cited on the World War One draft card of her husband, Gennaro Antonecchia, when Gennaro registered for the military draft on September 12, 1918. Mariantonia was living at 215 Storrs Street, Painesville, Lake County, Ohio. No children of Mariantonia Iannantuono and Gennaro Antonecchia have been identified.